Abstract: Airwheel intelligent scooter S5. It is the high—tech innovative product from the Airwheel. This kind of electric scooter has the excellent performance. It has the milestone significance in the history of transportation. From the practical use value aspects, the self-balancing scooter S5 can almost meet all the needs of short distance travel from the modern people. The first one I want to introduce is the famous one, the Airwheel intelligent scooter S5. 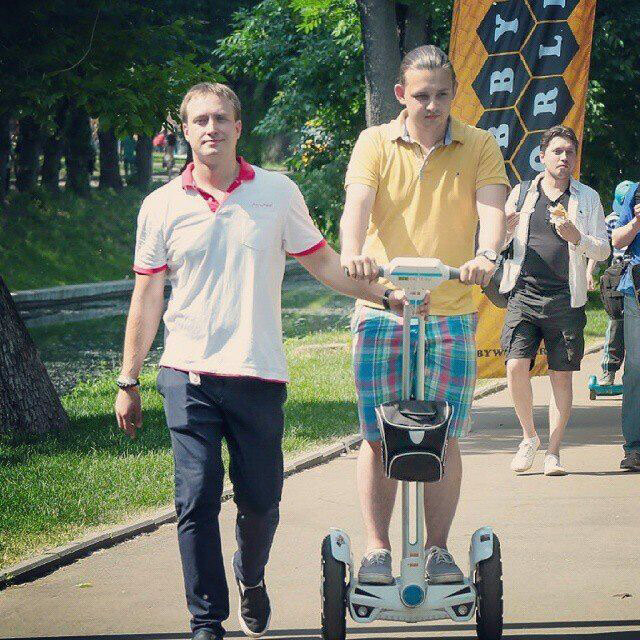 It is the high—tech innovative product from the Airwheel. This kind of electric scooter has the excellent performance. It has the milestone significance in the history of transportation. From the practical use value aspects, the self-balancing scooter S5 can almost meet all the needs of short distance travel from the modern people. It can hold the maximum weight of 120 kg and achieve the fastest 18 km speed. What’s more, it can also last long for the distance over 40 km. The bravo performance of the Airwheel intelligent scooter S5 satisfies all the public and be the most reliable insurance for the riders. For the social value aspects, the scooter Q-series represents the shift from the traditional human power to the intelligent transportation. Our transportation has stepped into the intelligent era. The Airwheel has more portion of technology than any other products from peer industry. The second one is the Airwheel intelligent scooter S3. The build-in chip of the S3 is the international latest invented intelligent chip. And the S3 has the build-in gyroscope combined with the aerospace attitude control technology to make the scooter in balance during the operation in all the directions. This kind of complete intelligent system design can not only improve the reaction speed of the scooters, but also the safety during the operation. Therefore, the whole operation ride experience of the scooter can be really relaxed and totally safe in every ride. Airwheel intelligent scooter S3, the famous and popular transportation tool, greatly filled the gap of the intelligent self-balancing scooter industry. By the virtue of compactness and small, and the quick and convenient, it makes the city transportation traffic congestion problem solved.